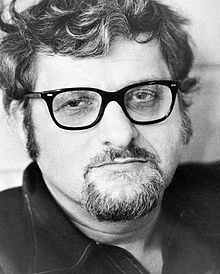 Sidney Aaron "Paddy" Chayefsky, was an American playwright, screenwriter, and novelist. He is the only person to have won three solo Academy Awards for Best Screenplay. He was considered one of the most renowned dramatists of the so-called Golden Age of Television. His intimate, realistic scripts helped determine the naturalistic style of television drama of the 1950s, and he was regarded as the central figure in the "kitchen sink realism" movement of American television. Martin Gottfried wrote, "He was a successful writer, the most successful graduate of television's slice of life school of naturalism." Following his critically acclaimed teleplays, Chayefsky continued to succeed as a playwright and novelist. As a screenwriter, he received three Academy Awards for Marty (1955), The Hospital (1971) and Network (1976). Marty was based on his own television drama about a relationship between two lonely people finding love. Network was his scathing satire of the television industry and The Hospital was considered satiric. Film historian David Thomson termed it "daring, uninhibited, and prophetic. No one else would have dreamed of doing it." Chayefsky's early stories were notable for their dialogue, their depiction of second-generation Americans and their sentiment and humor. They were frequently influenced by the author's childhood in the Bronx. The protagonists were generally middle-class tradesmen struggling with personal problems: loneliness, pressures to conform or their own emotions. Television is democracy at its ugliest.